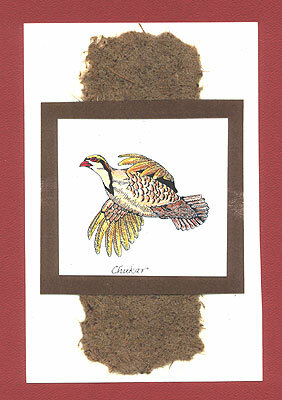 “Chuckar” is stamped with a Memories pad on white matte card stock and colored with colored pencils. This is layered on brown card stock, lighter brown hand made paper, white and rust card stock. Card by Mary Connaway.